Eleven Ventures is a fund manager headquartered in Sofia, with a focus on high-growth projects, coming from Central and Eastern Europe. We have invested in over 100 companies since 2012, with founders coming from 38 countries all over the world. Most of our projects are in B2B software and SaaS, hardware products, and marketplaces. Our investment focus is currently on companies that have early traction and proof of concept, looking for partners and resources to help them scale. We provide pre-seed and seed funding, access to our network, and hands-on support to the teams we invest in. We partner with Telerik Academy, UniCredit, Microsoft, Amazon, IBM and Google, among others, in helping our companies. Eleven is member of GAN, EBAN and the Accelerator Assembly. Eleven is founded by Daniel Tomov, Ivaylo Simov, Dilyan Dimitrov and Jonathan Bradford. Eleven’s first fund is funded by the Joint European Resources for Micro to Medium Enterprises (JEREMIE) Initiative and is implemented through the Operational Programme “Development of the competitiveness of the Bulgarian economy” 2007-2013, co-financed by the European Regional Development Fund and the state budget, managed by the European Investment Fund. Started in 2012 as an acceleration and seed program, we invested 12 million Euros in 115 startups over three years. Initially we invested in many very early stage, pre-product startups, but gradually we started seeing more advanced projects apply to our program, looking for support and access to our network, besides the funding. This, and our sizable portfolio, made us shift our strategy and focus on supporting more mature companies that have already built a product and are looking for the partners and resources to help them grow and scale. We don’t know the answers to all your questions, but we know people that do. Although we have more than one hundred investments in our portfolio, we work with each of our companies. We have backgrounds as entrepreneurs and investors ourselves, and broad expertise in many domains, so we can help with most aspects of the businesses of our companies. We would be a sounding board for most strategic decisions, give feedback and share best practices from our companies on all thing HR and legal, help organize and run design sprints, and effectively be a partner to our companies. But we invest in businesses in various fields, so we sometimes need to involve experts, and the second key thing we do is introduce founders to the right mentors. Most early stage investors in high-growth businesses would engage mentors one way or another. When we started back in 2012, our approach was the prevalent one-size fits all – we would invite scores of mentors and organize 20-minute speed dating sessions between each mentor and each startup, so startups would end up with a hundred meetings within a week. We quickly realized there is a better way to accomplish the same thing. Now, we would do a deep dive with each of our teams, identify their needs and only invite the people that can actually help. Through our extensive network of almost 500 alumni and mentors, coupled with our partnerships with GAN and EBAN, we can reach nearly everyone, but definitely, the people that can help our companies make better decisions. We usually provide a staged investment for a minority equity stake. Although we can invest EUR 1m+, we prefer to start with a smaller investment, ideally being among the first investors in a startup and grow from there. Our investment would fill-in any talent gaps, and provide the runway and dry powder for teams to run a number of experiments until they find a repeatable growth mechanics and get to Series A.
Lastly, we will help you get your next funding round. We have more than 30 years of cumulative experience in equity investing and have closed almost one hundred rounds in the last 10 years, so we know how the process works. And while we will do the introductions you need, and help you out with your pitch deck, we will also get involved during the negotiations of the term sheet and the closing of the transaction. And of course, as we are usually the first investor in our companies, we will help them structure the processes and introduce the discipline needed so they are due diligence friendly at any time. We have an open ongoing application where at any time you can fill out and send your project for review. Once a month we will check out all finalized applications and consider them for investment. The process is quite standard – we would evaluate all applications, invite the top ones for an interview, and the finalists would pitch on Selection Days to the Investment Committee and an evaluation panel – usually 5-6 of our mentors and investors. We take our decisions at the end of Selection Day unless we need some specialized expertise to assess a project – then it may take a week. The best way to get our attention, though, is through a referral from someone we know and trust. We have hundreds of alumni, mentors, and partners and chances are, if a company is looking for funding in this part of the world, they know some of these people. After investing in more than one hundred companies in 11 cohorts (not intentional), we learned that although there are many challenges to launching a successful company, there are some that stand out. One-size-fits-all acceleration programs are broken. Companies need to be in the same domain and at the same stage for these to make sense, and unless there are thousands of applications to choose from (and most accelerators don’t) this is rarely the case. So instead, companies in different domains and at various stages of development end up getting the same set of workshops, mentors, and resources. It takes a village to raise a startup. 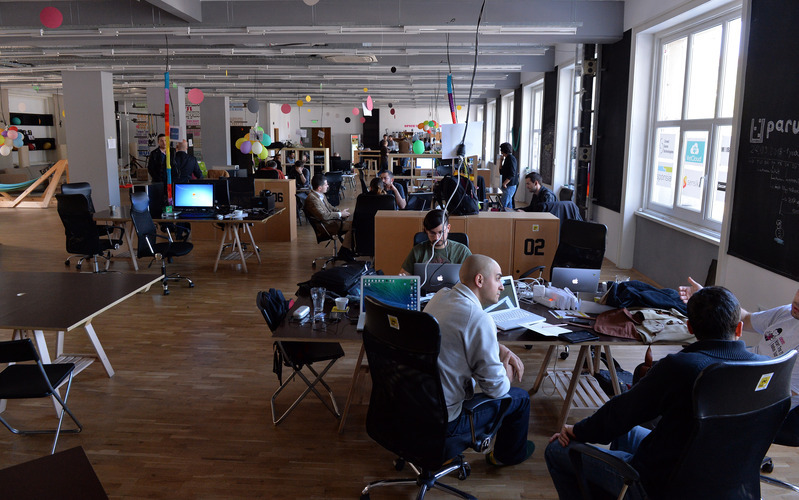 Our program required startups to relocate to Sofia for the time of the program. After its end, some chose to return home and continue working from there. With rare exceptions, if home was a place with no vibrant startup community, these teams struggled and many of them failed. Being surrounded by like-minded people keeps you focused and committed. There is an abundance of tech talent in our region and the engineers here can build almost everything software or hardware. But building the right thing and selling it is challenging. So, at the end of our first investment period, we took the chance to look back and reflect on the past three years, and do what we expect all our companies to do – innovate, so we can best help our founders. We will not be investing in batches anymore, although if we can invest in a few teams simultaneously we’d do that. We will match teams with the mentors they need instead of organizing a mentor’s weeks. We will do a continuous learning program, where we will cover key topics several times a year, instead of organizing a uniform program for all teams. And instead of moving here for a three-month program, we will have teams move to Sofia for as long as it takes to figure out exactly where they need to be.